Beginning of 2015 was very bad for Ranbir Kapoor, his films like Roy and Bombay Velvet bombed on the box office and the Barfi actor has been seriously advised by those close to him to steer clear of his comfort zone. But finally Imtiaz Ali directorial Tamasha gave him hope and also did very well on the box office. Romantic Drama film Tamasha had Ranbir Kapoor with Deepika Padukone in lead role and was a really different love story at Indian cinema. Now, Imtiaz Ali has once again roped in the actor to play lead role in his film. See Also : Shahid Kapoor replaces Sushant Singh Rajput in Half Girlfriend? Imtiaz Ali have directed Ranbir already in 2 films Rockstar & Tamasha and now it's third film where Ranbir will be seen romancing Alia Bhatt. Says a source, "Ranbir with Katrina-Deepika has become a predictable pair. He never cared who his heroine was. In Rockstar, Imtiaz cast a completely out-of-depth Nargis Fakhri with Ranbir. 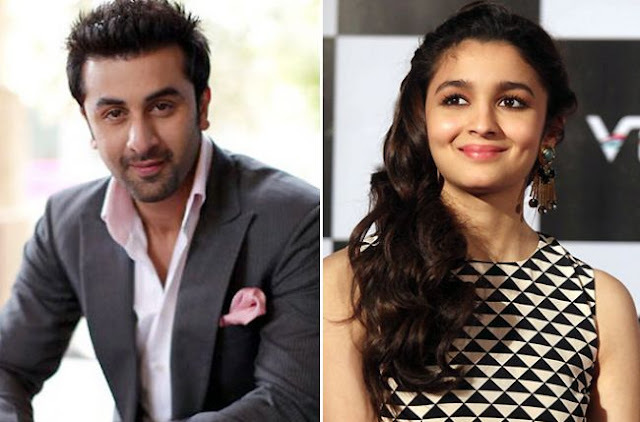 Imtiaz's next will feature Ranbir with Alia for the first time." Incidentally, Ranbir's best friend Ayan Mukerji has cast Ranbir-Alia in his super-hero film. But the future of that project is at the moment, uncertain. Join Us For Latest Updates! Farhan Akhtar is new face of Amway's Nutrilite? Kapil Sharma to be brand ambassador of TVS tyres? Amitabh Bachchan to endorse waterproofing solution Dr. Fixit? Must Read : SRK's advice on teaching road safety to kids! Fashion 2 is going to be a love triangle! Priyanka Chopra says Sunny Leone is Stunning! Dilwale crosses 100 Crore mark! When Saif Ali Khan ignored Salman Khan! Varun Dhawan hurt by media! How & Why? Salman Khan to get married soon? Tamasha makes 50 Crores at Box Office! Deepika Padukone wants to become film producer!